I was thinking this morning....... about the Venus and Serena Williams sisters rivalry. Last week Saturday, Venus Williams played yet another Wimbledon open final, this time not against her kid sister but against Garbine Muguruza. Oh what an opportunity for her to win her 7th grand slam title. This is so because her younger sister Serena did not participate in the tournament because she is preparing to have a baby in a few weeks. 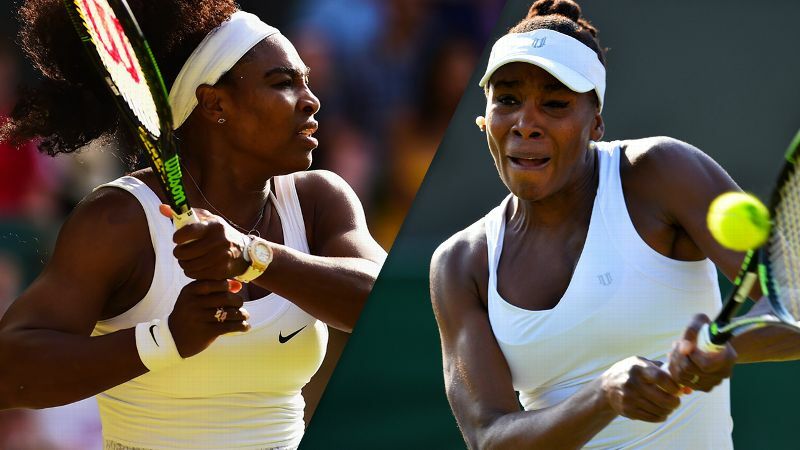 Since 2008 when Venus last won Serena in a grand slam final, Serena had beaten her elder sister without respect. Both sisters have played 9 grand slam finals and Serena won 7. Although the rivalry is long established, and is very fierce in competition, the two sisters remain personally very close. I was listening to Venus after beating Johanna Konta at the semi finals talking about Serena and she said, 'I miss her so much. I really wish she was here.' I was like, seriously? If she was there, you can be sure not to have a chance at the trophy. It got me thinking, how are they able to remain so close in spite of this fierce competition? Think about it, if they are Nigerians, Venus would have called a family meeting and pleaded with the parents to warn her younger sister not to embarrass her at grand slam finals again. 'What have I done to her that she won't allow me win?' I can imagine Venus say. And if they are very spiritual, someone would've warned Venus to stay away from Serena, because Serena is using her glory to shine. They would've argued that how come it is always Serena stopping her from winning another grand slam every time she had the opportunity since 2008. If Venus had won on Saturday, the spiritualist would've said, 'Didn't I tell you, this year that Serena is not here, you have won it. Pray o, pray that God should continue to make Serena pregnant, so that you can win more slams. After all, she has won 23 grand slams already.' they will conclude. Hmm!!! As I close my thoughts, I was encouraged that I can do better than Venus, as I remembered the admonition of Romans 8:35 'Who shall separate us from the love of Christ? Shall trouble or hardship or persecution or famine or nakedness or danger or sword?' As we continue this year, let no economic recession weaken your bond with your siblings nor our bond as Nigerians. .........Just the thoughts of a certain Wey Mey. Thinkist Weyimi, you can't burst our heads with your many thoughts. I couldn't help my laughter as I was going through the piece. Wonderful write up I must confess. Competition is healthy is every sphere of our lives, weather sport, education, businesses etc name it but when mixed with jealousy, bad bellie and malice it becomes something else. The William sisters are just an exceptional pair. The world should emulate this pair as a standard for the spirit of sportsmanship. Unhealthy competitive spirit has nothing to do with race. The upbringing of human plays a vital role in his or her contentment. These ladies were well brought up, pure and simple. The simple rule of life is win some lose some. You can't win always and likewise you can't lose always, the balance or midpoint keep us going. Knowing this rule, we don't need to kill ourselves. Who pass you pass you. Oga na master. You just have to concur like Timaya to your oga. Thanks Weymey and keep these thoughts flowing. Weyimi the Thinkist.